A lilo derby? 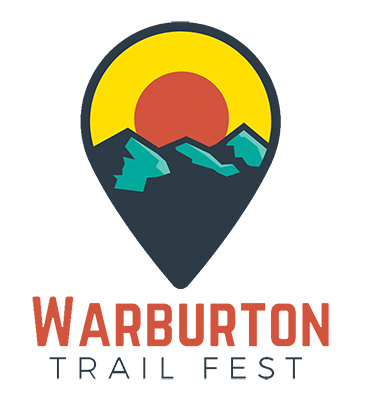 As part of a trail running festival? Well, yes it is, but we like to keep things a little weird anyway, though this is actually a Dash 'n Derby' as there is a trail run involved. Plus there's a river running through Warburton (the Yarra) and being just off the back of summer, there's a chance it could be warm / hot /sweltering. Plus there's form: liloing / rubber tubing down the Yarra River at Warburton is an area tradition. Summer holiday makers have been doing it for decades. Race Director (Chris) also grew up in Warburton and logged hundreds of hours in the rubber tube seat to gain his lilo pilot license. He's now the convenor of the Australian Association of Lilo Pilots, and is particularly adept at navigating the eddies and whirlpools of the Warburton stretch of the Yarra. Such is the history of lilo river running at Warburton that the town was actually the host of the world's first ever lilo derby, way back in 2006! We produced the first Warburton Lilo River Derby to raise money for a Bhutanese refugee's education – he's doing fine now, thanks for asking, relocated to the United States and employed, self sufficient :) Check out the original poster and art sketches for that first event to the right! or if you are doing the Multiday Madness you are automatically entered in the Lilo Dash 'n Derby. HOW DOES THE ACTUAL RACE WORK? You buy a lilo or similar suitable flotation device (BYO or you can buy when you register online for the Fest). We suggest surf lilos as the best option. (they are short with rubber handles up front and have a V-shaped pointy nose for going faster). You put your name on your lilo or tie some ribbon on it so you know which one is yours. You bring your running shoes and a helmet – bike helmet is fine, or a river helmet if you have access to one (i.e. canoeing helmet). You leave your lilo with organisers at least one hour prior to the event. Organisers will take your lilo to the put-in. You turn up to the start with your helmet (mandatory) and shoes (mandatory). Fancy dress encouraged. Any theme. Yes you run with your helmet. You RUN 1.5km leaving from the football oval. You arrive at the lilo put-in at the Warburton Caravan Park. Find your lilo. You then lilo 1.5km back to the football oval. You exit river left, and run up to the oval where the finish line will be. You will then officially be a lilo pilot.